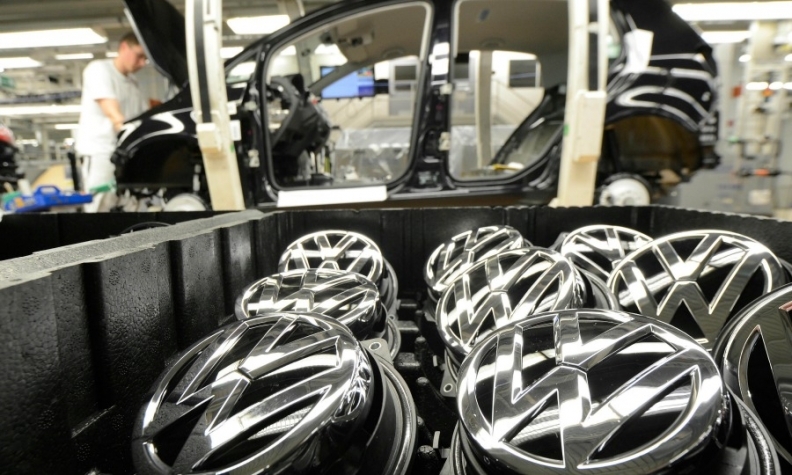 German carmakers including Volkswagen benefitted from a leap in exports last month. BERLIN -- Volkswagen has no right to use the crisis over its emissions test cheating to deny workers a reasonable wage increase, the IG Metall union said, reiterating its call for a 5 percent pay hike for about 120,000 VW staff in western Germany. VW plunged to the biggest loss in its history last year after it set aside 16.2 billion euros ($18.3 billion) to help meet costs arising from its cheating. The automaker, which could still face more costs from a U.S. Department of Justice investigation, also cut its dividend for the first time in six years. A "measured settlement is more important than ever," VW brand human resources chief Martin Rosik said on Tuesday after the first set of wage talks with IG Metall in Hanover, also citing costs of new technologies and regulation. But Germany's largest labor union showed little sympathy. "Workers on the assembly line, at the foundry or in administration have not carried out manipulations," Hartmut Meine, the union's chief pay negotiator said. "That is why the workers will not pay the price. Others have to take the responsibility." IG Metall feels vindicated by robust underlying earnings at Europe's largest automaker, where operating profit before special items last year totaled 12.8 billion euros, just above the 12.7 billion achieved in 2014 and a new record. The union, which is also seeking an extension of early-retirement rules, called on VW to table a "constructive offer" at the next meeting on May 2. If no agreement is found by May 31 when current wage contracts at VW expire, IG Metall could call for short-term strikes.